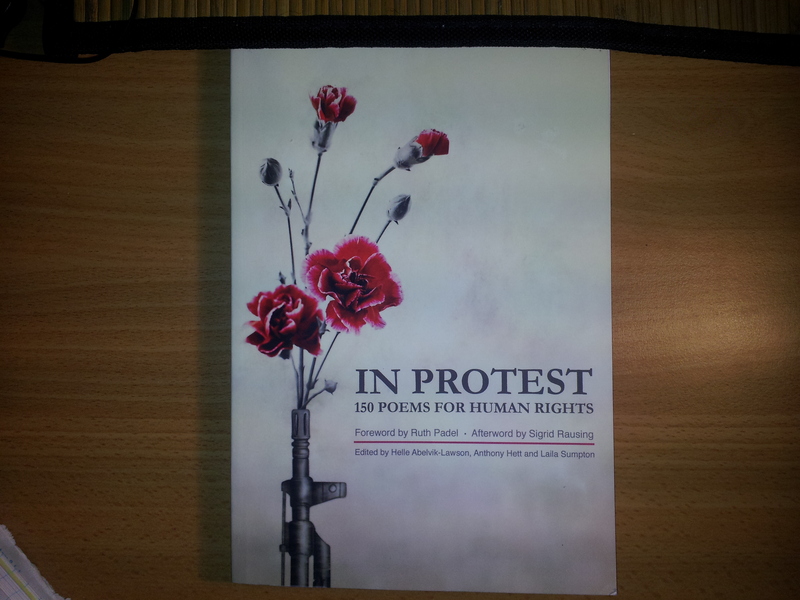 I was very pleased to have a poem included in the anthology ‘In Protest: 150 poems for Human Rights’. This is a collection of new poetry exploring human rights and social justice themes and is a collaboration between the Human Rights Consortium at the School of Advanced Study, University of London, and the Keats House Poets, bringing together 150 poems from over 16 countries. The poems are concerned with experiences of oppression, discrimination, and dispossession. At the same time hope and solidarity are much in evidence in the contributions. The book is edited by Helle Abelvik-Lawson, Anthony Hett and Laila Sumpton, with a forward by Ruth Padel. The launch was last October (2013) in London which I attended. The book is to be featured at the Stanza International Poetry Festival in St.Andrews in Fife in March where a number of the poets, self included, will read and discuss their work. The inspiration for my poem ‘Civilian Executions. Minsk 1941’ is a photograph in the book which accompanied the TV programme ‘The Nazis: A Warning to History’ which shows a civilian being hanged. Particularly pathetic in the photograph is the way the victim must forever remain unnamed and unknown, as were (and are) many of those who bear the greatest brunt of war, i.e., civilians. I am aware that my poem is derivative, being based on a second-hand experience but there are many poems in the book which arise from direct, first-hand encounters with violence and brutality, and these are the real meat of the anthology.